Do you have a business that is struggling and just needs help? Then you need to start with our Business Evaluation. We evaluate the ideas to see if they are the right fit for you and what you need to accomplish. We study your current business model that you have implemented to see if there are weaknesses and show you how to make it better. When we consult with you, we take apart your business and put it back together helping you to form a stronger foundation and concept. If you have a business and need the "how to" in making it successful then we are the ones you need on your team. 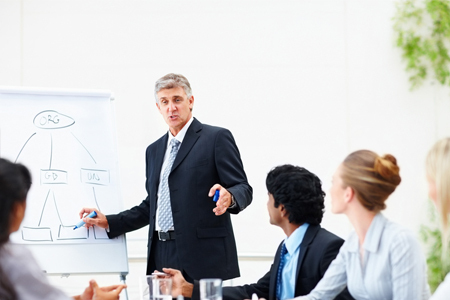 Our team consists of highly trained business coaches and skilled business professionals in their perspective fields. Our main purpose is to help your business succeed and point you in the right direction. As Business Coaches we value your time. We are not here to waste such a precious commodity. When you deal with any of our Business Consultants, we pretty much get to the point. No B.S. and No beating around the bush. When you hire us you hire the Best Business Coach in the industry. We offer Business Coaching to a wide variety of business types. What we do is we evaluate what you currently have and show you how to make it better. For individuals who do not have a business yet, we will coach you into finding the right business match for you and your prospective team. We have developed a strong business model in helping others. We specialize in helping small businesses in developing or re-developing their core potential thus unlocking their keys to success. Our team is consisted of highly trained individuals who can assist you with many different types of business. Each of the clients we take on will have access to getting with some of our Associate Partner Firms. These firms would be considered the "step 2" of your process and can include getting you the right match up with an Investment Banker.